Aaron J. Sobaski represents owners, developers, investors, and corporate users in connection with the acquisition, sale, leasing, ground leasing, financing, construction and development of commercial real estate projects. Mr. Sobaski has a broad real estate transactional practice representing both public and private entities, with particular emphasis on the purchase, sale, leasing and development of industrial/distribution facilities, complex public private partnerships, and ground lease based transactions. Such representations include student housing and affordable housing projects, mobile home parks, and other commercial and residential developments, as well as military base reuse and redevelopment, and large logistics and distribution facilities (both on and off airport). For mixed-use developer clients Mr. Sobaski has drafted CC&Rs, Reciprocal Easement Agreements, and other forms of “shared use” agreements. He has also assisted such clients with establishing owners associations and preparing subdivision filings with the California Bureau of Real Estate. Mr. Sobaski regularly represents foreign investors and investment funds in connection with their acquisition, disposition, leasing and management of real estate assets in California. 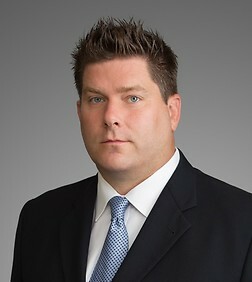 A significant part of Mr. Sobaski’s practice involves representing large national and international corporations regarding their various real estate needs, including the development and construction of new distribution, production, R&D, and office facilities, commercial leasing and subleasing, and the restructuring and disposition of excess real estate assets. Regularly represents MOB developers in connection with the acquisition, development, construction, financing (both debt and equity), and eventual disposition of projects throughout Southern California.